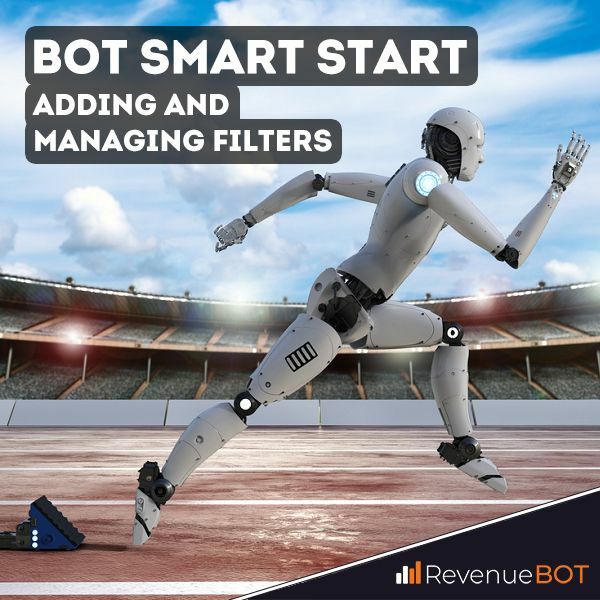 RevenueBOT.io > Blog > Configure bot settings > Bot smart start. Create and manage filters. It is animportant indicator for determining trading pair risk. It reflects the trend power, and ranges from 0 to 100. RSI signals when the cryptocurrency is oversold (<30) and when it is overbought (>70). Rb rate changes count shows the number of cryptocurrency oscillations of0.5% for the specified time period (1, 3, 6, 24 hours) in 1 minute intervals. This indicator indicates the volatility of trading pair. Filter showing the trading volume of the pair in the last 1,3,6 and 24 hours. Filter showing the price change (in %) in the last 1,3,6 and 24 hours. If necessary, you can add several filters at one time. If you want to avoid situations wherethe bot starts buying too early andtooexpensive,you should add an RSI filter <70. If you want to avoid situations wherethe bot starts selling too early and too cheaplyyou should add an RSI filter >30.